Last year I had a major issue with my Sony Vaio Laptop and I couldn’t for the life of me work out what the problem was. So therefore I decided to take it is to the nearest Sony Center the handle Vaio’s, which for me is in Gangnam, Seoul. I admit that there are many computer repair shops around, however as my is a Vaio (an uncommon make in Korea) and has an English operating system. So it’s a easier just to take it to the service center, also I’m covered under worldwide warranty so it was free. To cut a long story short, I took my laptop in on the Monday morning and they found the problem within a few hours and said (all via phone) that it should be ready either Tuesday afternoon or Wednesday morning. I returned Wednesday and the laptop was fixed, now sporting a new hard drive and with Windows reinstalled. Fantastic. However this was my second trip to the Sony Center in resent years and sadly the first time it took a little longer, around a month. But they have now remodeled, restaffed and generally improved the store and the service center. Above you should be able to see a Google map showing the location of the center. Basically it is in the Apgujeong area of Seoul in Sinsa-Dong, Gangnam and is almost across the road from a Burger King and a McDonald’s. The closest station is Apgujeong around a 15minute walk (take exit 3), coming from Gangnam station take the 145 Bus near exit 11 for around 30minutes. Update: If you’re looking for a Sony Service Center in another area try searching for “소니 서비스센터” on Naver Maps or Daum Maps. If you have any questions feel free to comment below. Thanks and I hope this information proves useful, also please note we don’t work for Sony and therefore can answer any specific after care questions. My laptop have power prob. I wish to know service certer in suwon. 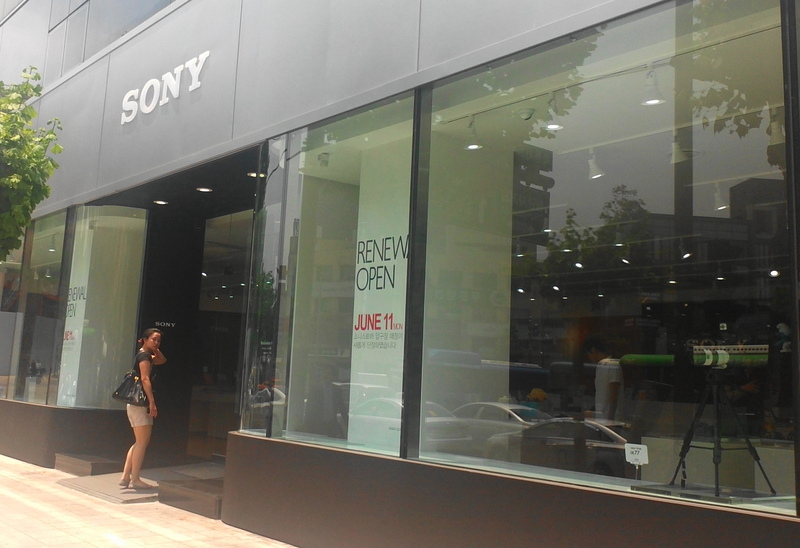 There is no Sony service center for Laptops (Vaios) that we know of in Suwon. As far as we know there are only 2 in the whole of Korea. 1 in Seoul (above) and 1 in Busan. If it’s a hardware issue maybe a local PC repair place can help you out. Where is the service center in Busan? I need to get my camera fixed. The address we found is: 1430-10 Oncheon 2(i)-dong, Dongnae-gu, Busan, South Korea (put it into Google maps). It’s close to Minam and Dongnae Stations. However you’re not sure if it’s an overall service center or one focusing on one line of Sony Products, it’s not clear. Hi, is there any service center for sony cameras apart from the one mention above in seoul ? Thanks ! Maybe, if you search Naver for Sony Service Center (소니 서비스 센터) a number of different options come up. However it doesn’t state what they service. Where do you live? Maybe we can find the closest one to you and you can go from there. This post details the location of the Sony Service Center. We don’t represent them or sell any Sony products. Maybe try going directly or to a phone shop. They fix Sony Products, however Sony phones aren’t really sold here in South Korea. It’s maybe the best place to try and I’m sure they’ll be able to point you in the right direction. Good Luck. 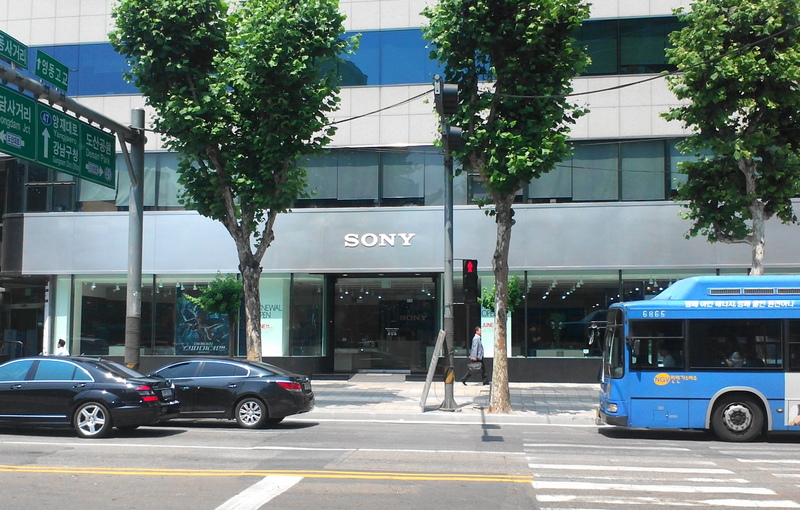 This post details the location of and contact details for the Sony Service Center (Seoul). But we’re don’t represent them and we’re not a shop. Hi, my xperia z2 back glass just broke. Can sony center repair it? I’m living in Daejeon, do you know which one is the nearest from here? And in addition, I cannot speak Korean, can they understand it in English? There is according to Naver Maps a Sony Service Center in Daejeon, it’s located next to Yongmun Station Exit 1. Open 9 to 5 weekdays and 9 to 1 Sat. But we can’t say if they can speak English or if they can fix a Xperia Z2. You’ll have to visit and hope for the best. Good Luck. Getting conflicting information on where I can go get my PS Vita repaired. You seem to respond to comments really quick so it’s worth a shot! Any idea if the service center you mentioned could help me out? Thanks! Having no experience with a PS Vita or any PlayStation products here I can’t say exactly. However this service center should at least be able to point you in the right direction. Sorry I can’t help further. We only have direct first hand experience with Laptops. You mention above that this is only 1 of 2 service centers, one in Seoul and one is Busan. Do you mean that those are the only ones who would deal with your laptop or the only Sony service centers in Korea, period? I’ll definitely check them out and see if they can help. Thanks! They’re the only 2 that service laptops. There are a few others (basically 1 per major city) which deal with everything else cameras, TVs, etc. A full list is on their website. Hello, Do you know a new sony service centre in Busan? I went to the centre mentioned above. There is no sony service centre at 1430-10 Oncheon 2(i)-dong, Dongnae-gu, Busan, South Korea any more. Sorry if it’s moved, we don’t live in Busan or work for Sony so the info maybe dated :(. Firstly if you search for “소니 서비스센터” on Naver Maps it will list more up to date locations. Hi! I’ll be going to Seoul in a couple of months and I’d like to buy a pink/white Sony A5000 mirrorless camera there. Do you know any good place where I can buy this? Thanks! This store would be a good place to start, but a lot of the major department store and electric stores also store Sony Brand cameras. The Yongsan Electronics Market is also famous for tech stores, so that’s certainly a place to at least browse. Honestly we don’t know, last time we went they sold Cameras there and so they should at least be able to point you in the right direction. It’s maybe 30mins from Gongdeok Station so not that far. Hello, I just moved to Suwol, South Korea. My sony z3 phone’s back cover cracked for no reason. Is there any nearest sony centre where i can take it to repair. I still have my 1 year international warranty. Do you mean Suwol or Suwon? Suwol no idea as it’s a pretty small and remote place which we don’t live near. If it’s Suwon then the service center in Seoul listed above maybe the best place to start. But it’s been a year or two since we went, so not sure on where the best place is currently. Hi..i had a problem about my PS4. Im from Pyeongtaek and where is the nearest Sony Center i can bring it? Personally I’d contact the Seoul Service Center directly for more advice. We don’t own a PS4, so sadly we can’t help out. Sorry. Do you know the opening hours for that branch? Im planning to go there this weekend to get my camera cleaned. Im aware Monday is the lunar new year so Im not sure if they’re closed other days as well. Thanks! Although it’s been a few years I believe they open at 9 or 10am on a Saturday. They maybe closed Monday but I doubt they’ll be closed other than that. Hello, I am living in Ulsan. I can not control the top edge of my sony Z3’s touch screen. Is there any Sony mobile service center near Ulsan? We don’t know if they deal with phones. For more ideas search for 소니 울산 서비스센터 or 소니 서비스센터. Hello, I live in Buman, Seoul and my Sony Vaio laptop got some problem. So I want to visit Sony service center to fix the problem. Could you please let me know the nearest sony service center to Buman. Thanks in advance. As far as we know there is only one Sony Center in Seoul and it’s the one listed in the post, which is in Gangnam. Hi. I am currently using sony vaio laptop as well and i think my ac adapter has problem as my laptop wouldnt charge not matter how hard i try. Its either theres problem with the ac adapter itself or the power cord failed to work. I just have one question for you: may i know how much did you pay for their services in gangnam? I was wondering if i should just buy a new laptop as i have been using this laptop for 7years. Or I’ll just fix it and continue on using it. Look forward to hear from you. Thanks. I didn’t pay anything as it was under warranty. If it’s just a power cord that wouldn’t cost a lot to fix. Anything more serious maybe buy a new computer. Hello. My Z5’s headphone jack is broken (so sad cant listen to songs T.T). Do you know any service center around Yongin (Gyeonggi-do)? Or at the very least the best place I can go? Gangnam is the closest we know of, however it’s been a few years since we last checked. Click on the link provided above for information direct from the sony service website. Hi. Pls i live in Geoje and i need a Sony center close by to fix my faulty Xperia Z5. Search for 소니 서비스센터 on Google Maps or Naver Maps and a number of options pop up. Busan or Gimhae seem to be the closest to Geoje. I live in suncheon city and i have mobile sony xperia z5 premium and it falls from my desk and suddenly not working and its urgently for me i need to fix can you please help. Visit the Sony Center List Above, or contact Sony directly. This is only a blog and so we can’t help anymore than sharing information. I want o change my SONY VAIO PC window language from Korean to English since I can’t use in Korean. Would you help me pls? I’d go to any PC service place, it’s a windows issue not Sony. Or visit the Sony Service Center. *Remember this is a blog and has zero connection to Sony or any other company. Hii, My sony xperia z3 plus phone has some water damage, is it possible to repair this phone in sony service center. can you please send the current address. We don’t know any places off hand. But links for the Sony Service Center and Hotline are included in the post above. Can they fix or replace a broken sony phone screen? As the post explains we went to an issue with a VAIO laptop a number of years ago now. They maybe able to help, or send you somewhere that can. hi, im living wijeongbu ..is there has service centre here? i have a sony headphone .but its not wireless..i wanna make it wireless. is it possible? plz reply me …i’ll be thankful..